As I was walking the dog, I was thinking about the split peas, barley and ham waiting to be made into soup. I was mentally thinking about the recipe and procedure. One thing that struck me was in all the years of cooking with dried beans I’ve never found a “foreign object” in them. The directions still recommend spreading the beans out and checking them followed by a good rinse before using. 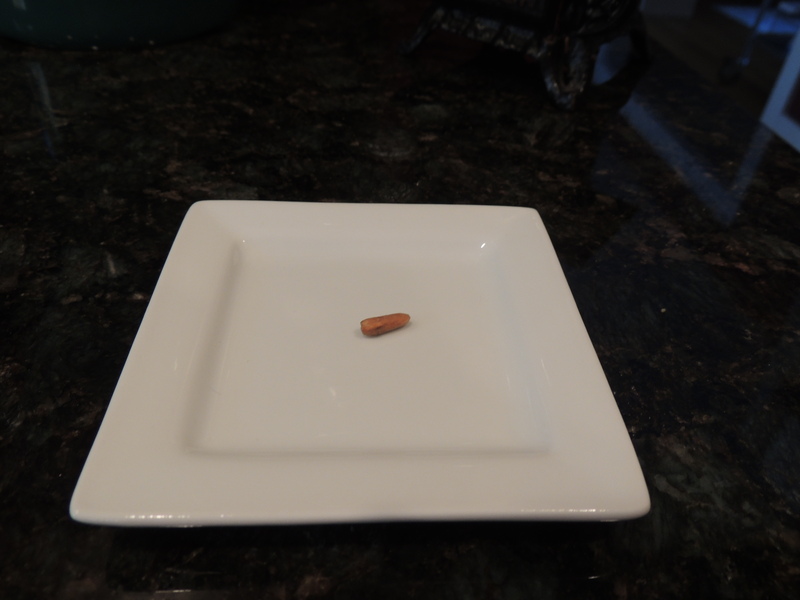 Would you believe I found a little piece of wood among the lentils! Split pea soup is pretty basic. My preference is to precook the barley before adding to the soup. Put a cup of barley and 1 teaspoon kosher salt in a medium saucepan, cover completely with cold water by 2 inches and bring to a boil. Reduce the heat to simmer and cook for 15 minutes. Keep an eye on the barley, the high starch content makes boiling over a possibility. Rinse thoroughly to get rid of more starch and add to the soup. 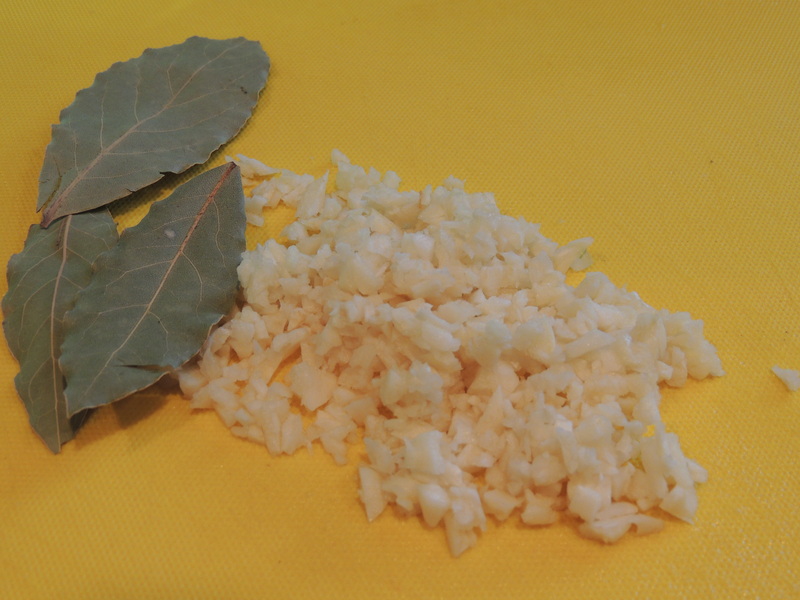 While the barley is cooking, dice onion and celery and mince some garlic. 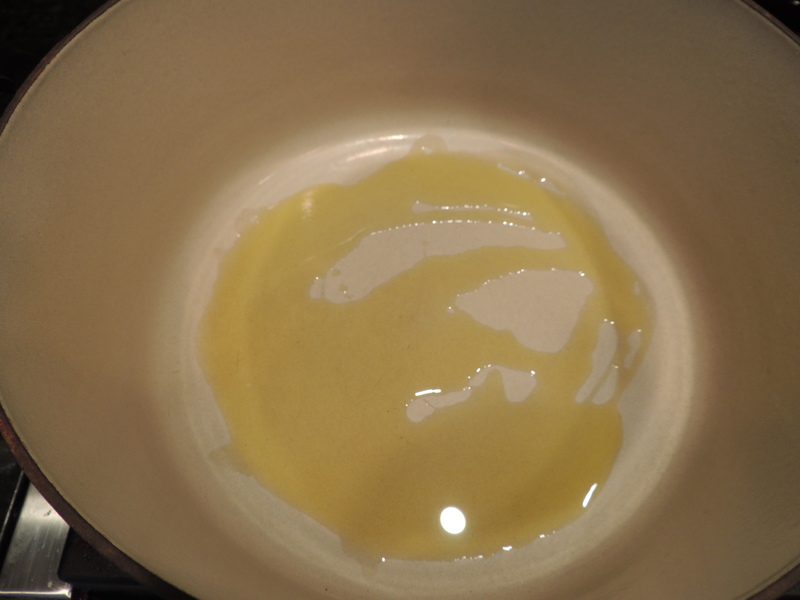 Heat olive oil in the bottom of large Dutch oven or saucepan a pan over medium heat. Toss in the onions and celery, stir, cover and sweat for 5 minutes. 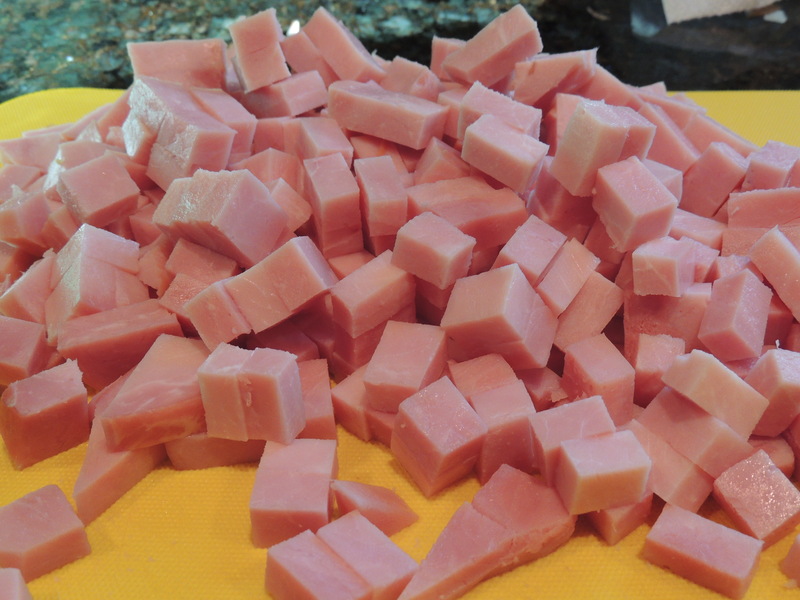 Cut about 2 pounds of ham into small cubes and about 8 carrots into coins. Add the peas, barley, ham, carrots, bay leaves, salt and pepper. Cover with 10 cups cold water and bring to a boil, lower the heat to a gentle simmer, cover and cook until the peas lose their shape. About 1 1/2 hours. 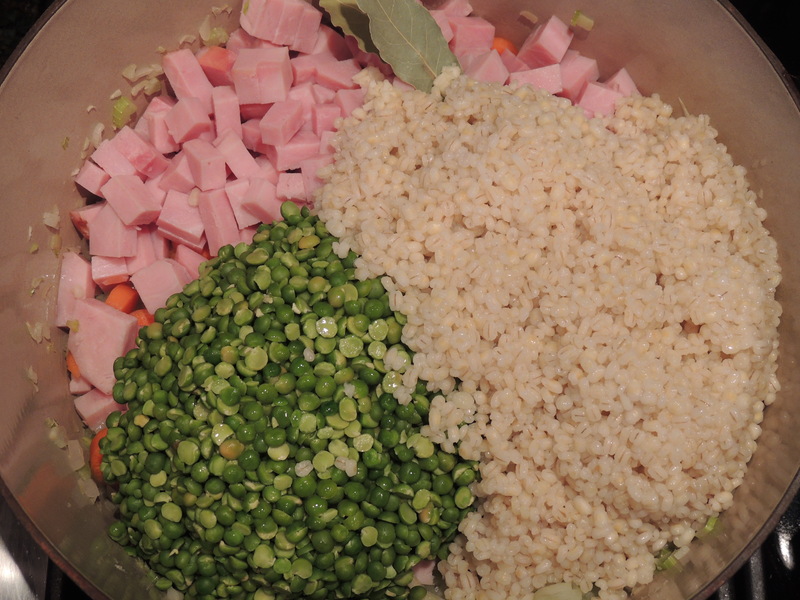 Add the peas, barley, ham, carrots, bay leaves, salt and pepper. Cover with 10 cups cold water and bring to a boil, lower the heat to a gentle simmer, cover and cook until the peas lose their shape. About 1 1/2 hours. A quick and easy Split Pea and Barley Soup that makes a heart lunch or dinner. Put the barley and 1salt in a medium saucepan, cover completely with cold water by 2 inches and bring to a boil. Reduce the heat to simmer and cook for 15 minutes. Keep an eye on the barley, the high starch content makes boiling over a possibility. Rinse thoroughly to get rid of more starch and add to the soup. While the barley is cooking, dice the onion and celery and mince the garlic. Heat the oil in the bottom of large Dutch oven or saucepan a pan over medium heat. 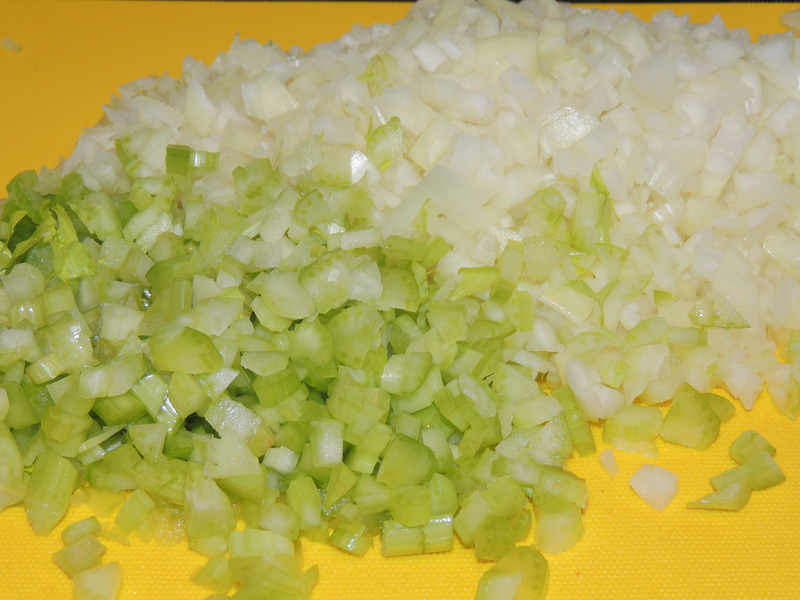 Toss in the onions, celery, and garlic; stir, cover and sweat for 5 minutes. Stir in the peas, barley, ham, carrots, bay leaves, salt and pepper. Cover with 10 cups cold water and bring to a boil, lower the heat to a gentle simmer, cover and cook until the peas lose their shape. About 1 1/2 hours. Skip the ham for a vegan/vegetarian recipe.